The mouse cursor is an essential part of all Windows systems ever and it's hard for it to disappear. 1. Try hard restart/hard reset. Press the power on-button on your PC and hold it for about 5-10 seconds until your computer powers off completely. Remove and unplug any external periferals and accessories. - Power the computer back on. - Choose F2 to open System Diagnostics. 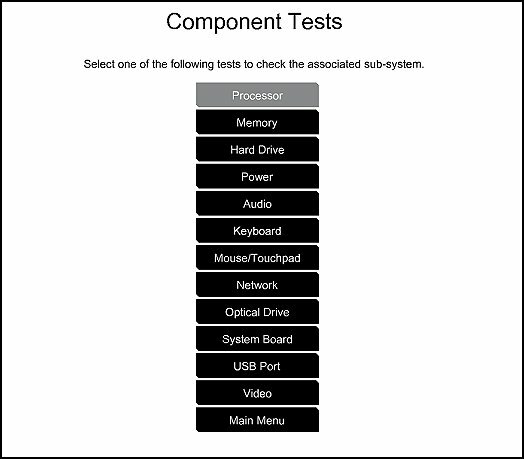 Follow the on-screen instructions to perform Component test and test your mouse/pointing device/touchpad. 3. Repeat steps 1-2 above but when HP Startup menu opens, please choose F11 for System Recovery options. The computer should boot from it's recovery partition to open you various recovery options. Note, that F11 option will only work if the recovery partition is there (not deleted) and intact. From there, you have prenty of options to choose from. Every HP computer comes with recovery partition present to assist in tough moments. Hope this helps. Let me know how it goes. Provide your feedback/reply.